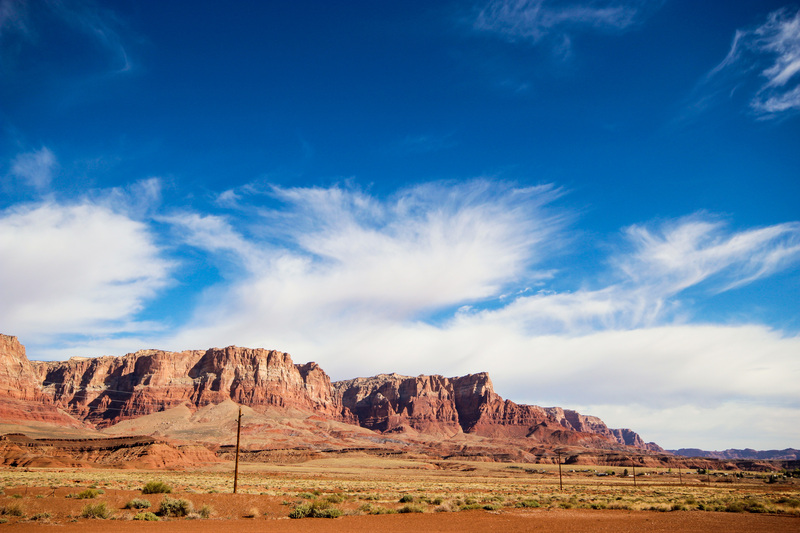 One of my favorite roadside attractions from my southwest road trip was driving by the Vermillion Cliffs. The salmon pink color and amazing strata stripping contrasted with the azure sky of the desert. It was tough to keep my eyes on the road! The landscape colors of the southwestern US definitely make it difficult to keep one’s eyes on the road!